After the trade deficit posted a 20.2% year-on-year widening in January-August 2018 to €8.8 billion (4.4% of GDP), the C/A deficit followed with a no less impressive 37.8% widening for the same period, reaching 2.9% of GDP. Trade balance aside, low EU funds absorption and a levelling-off in the services surplus also contributed to the widest C/A gap since 2012 (when it reached 3.4% by August). 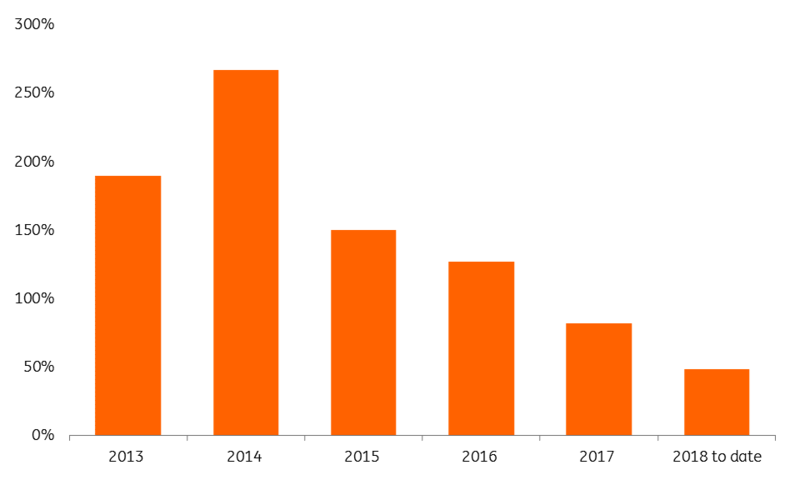 On the year, foreign direct investments (FDIs) cover only 48% of the C/A deficit compared to 82% for the full 2017, which should raise an eyebrow from the central bank. 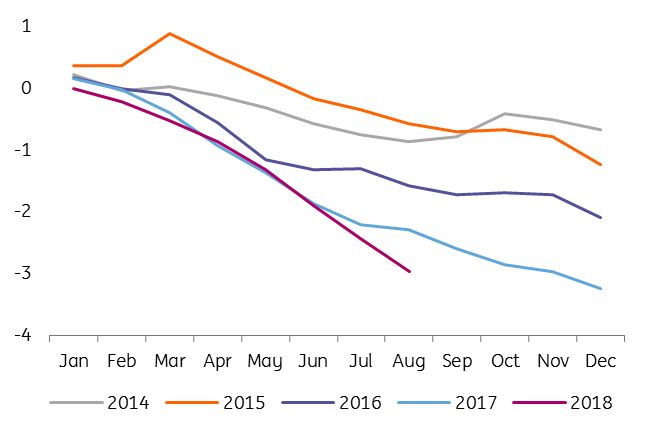 This is even more important in the context of a relative appreciation of the Romanian leu versus its regional peers since the beginning of this year, while Romania is running trade deficits with most of its neighbours. Given the persistent widening of the trade deficit even as the economy slows down, a levelling off of surpluses on the services balance and a sluggish absorption of EU funds, we revise our 2018 forecast for the C/A deficit from 3.7% to 4.2% of GDP. While these developments normally call for some nominal depreciation of the Romanian leu, the central bank seems ready to let it slide for now as headline inflation is still printing way above the target band of 2.5%±1ppt. 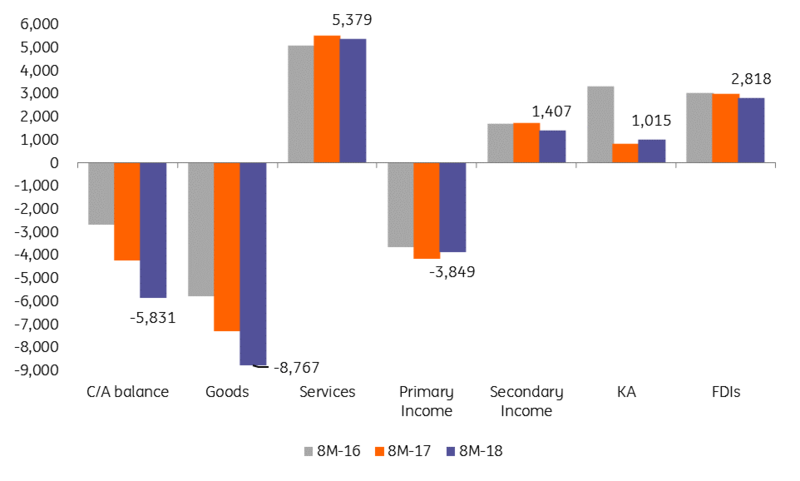 Structural factors affecting the competitiveness in some sectors (mainly agriculture) could also be cited for the widening of the trade deficit. Hence, no reasons for optimism regarding the external position in the near-term.